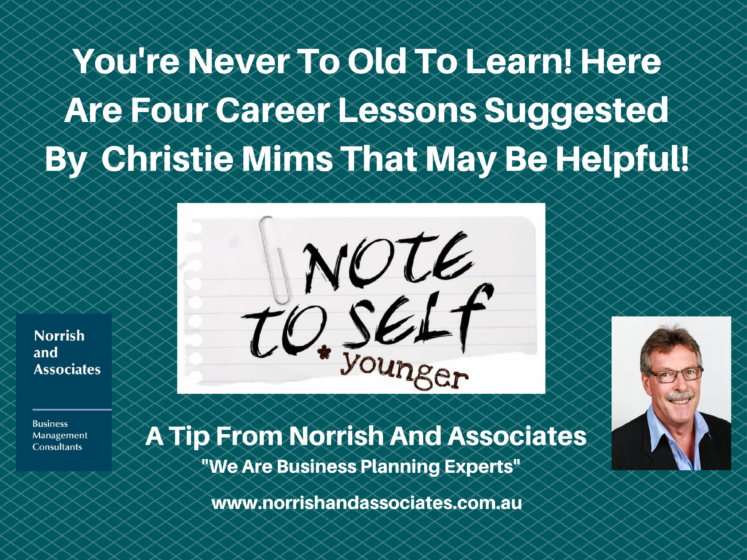 Home / Employment Tips / Dear Younger Self……….! It’s Time To Stop Being So Scared! We bet you’ve learned a lot throughout your career so far—no matter what stage you’re at. And yeah, sometimes you learned things the hard way, but that’s perfectly fine. Actually, we’d go as far as to say that’s a good thing. There’s really no limit to how much you can learn throughout your career, and some lessons are timely, while others are timeless. Christie Mims shares some of the latter with you today, so without further ado, here’s a dose of hard-earned wisdom from someone who’s been there, done that.